The Most Popular and Affordable Siging Option. Vinyl siding is currently one of the market leaders due to its affordable price, low maintenance and improved energy efficiency. This type of siding is long lasting and durable. As for maintenance – you can just take a garden hose and wash off dirt from the walls. Vinyl siding is also resistant to cracking or rotting. If installed properly vinyl siding can withstand wind speeds up to 110 miles per hour. Unlike wood siding vinyl siding acts as a barrier around the house. It keeps warm air outside in summer and cold air – during winter months. This ability of vinyl siding to act as an insulator helps you to save on cooling and heating costs. That’s a reason vinyl is a great choice for homes located in areas with both cold winters and hot summers. 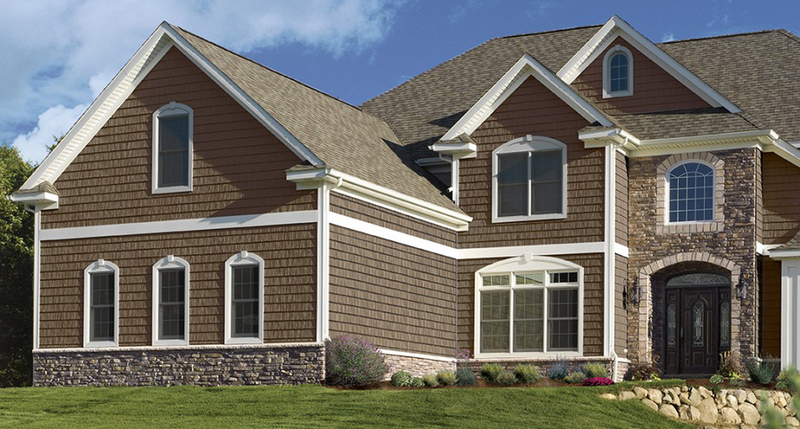 When it comes to appearance, the color of vinyl siding is built into the material. It means there is no concern that the paint could get peeled, fade, or get damaged by rain or snow. 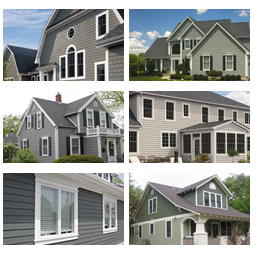 Vinyl siding is available in many colors, textures and designs. The material doesn’t require much maintenance. Our team of professionals will gladly replace your old siding with a new one.